They love to be home. Don't text them to go out after 9PM. They love to be in their PJ's. Cancelled plans can sometimes be the best plans. So what do you get the person that honestly loves to be home? 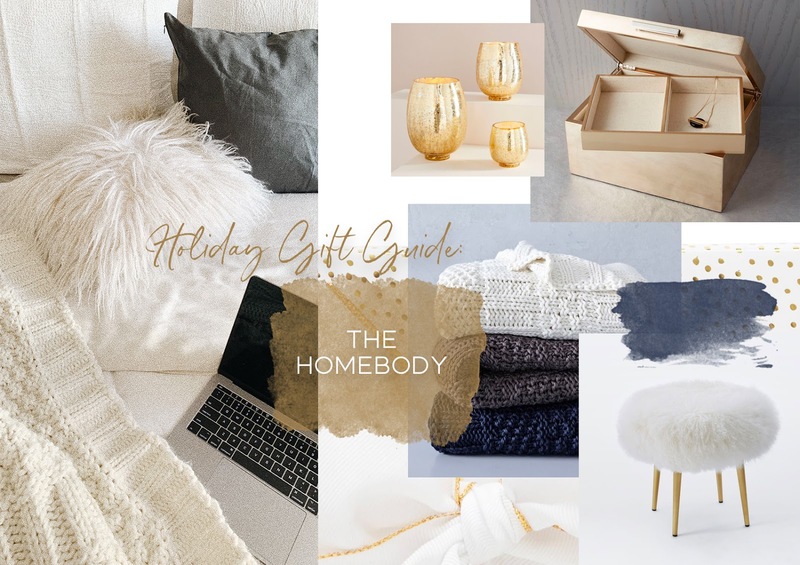 For my first Gift Guide for the season, I'm sharing some picks on what to get the person that loves to be home. For this post, I've teamed up with West Elm to show you how you can find something for everyone at one of my favorite places to shop. Even if they're not necessarily a big homebody, I can guarantee that you'll be able to find something for everyone. As someone who likes to complete their shopping list early, the less stores I need to go to, the better. Check out my favorite picks below! If you're shopping for someone who loves to stay home like me, I highly recommend throws or Tencel sheets. This is a perfect gift for relatives, a friend, or coworker. Because honestly, who doesn't love to snuggle up at home in bed or on their sofa with a lush bedding. Winter is coming and everyone should be bundling up outside and then cozying up at home. Check out my favorites! Guys can always be tricky to shop for. Your dad, uncle, brother, boyfriend, husband, etc. Luckily, West Elm has a ton for the man in your life. Whether he likes to just take it easy at home, listen to music, enjoy a drink every now and then, these are great gifts for that guy in your life that you always seem to have a tricky time shopping for! It's crazy to think that I've arrived at that age of dinner parties and hosting. I'm sure a lot of you are too! I've seen so many of you guys sharing moving into new apartments, some new homes, and it's incredible being on this journey with you guys as one chapter closes and another begins! The holidays are the perfect time to gather your loved ones around and it's always great to have something for the hosts! These gifts are also great for your colleagues and coworkers as well. They're most likely getting lots of toys already from other relatives. If there's a little one on your wishlist, these cute little gifts would surely be an original idea! Not to mention, their parents (if it's not you) will probably thank you! That's pretty much it for my first gift guide! Stay tuned for a few more going live and let me know on Instagram what other categories you're looking for! :) I've already got "Gifts for Myself" and an exclusive "Gifts for Him" guide coming up. Happy Holidays and make sure you follow me on Instagram for my holiday giveaways!